Learn what makes Puʻuhonua O Waiʻanae remarkable & their vision for the future. Puʻuhonua O Waiʻanae is a village of more than 200 people living unhoused on the edge of the Waiʻanae Boat Harbor. It is home to children, working families and kupuna (elders). A majority of residents are Native Hawaiian. The people of Puʻuhonua O Waiʻanae have built a remarkable community where neighbors know each other, where caring for children is a shared kuleana (responsibility), where rules are created and honored by residents, and where community service is expected from everyone. The village is also a refuge, where many are working to heal from financial disaster, trauma, abuse, addiction, injury or illness. The village is led by Twinkle Borge, who embodies the toughness and compassion our community needs. "Be a blessing to others." Everyone in the village is expected to perform at least eight hours of community service every month. Some clean the park next to the village or maintain trails and common areas. Others organize and staff the donation tent. Once a month, residents go out and serve other houseless communities across the island. They bring food and clothing, and share what they’ve learned about how taking responsibility builds trust and relationships. Volunteers from Puʻuhonua O Waiʻanae have been to Kakaʻako, Old Stadium Park, Waimanalo, Wahiawa, Ewa Beach and more. Keiki always come along so they learn about serving others and see how blessed they are to live in Puʻuhonua O Waiʻanae. "Community first. Relationships first. That's the key to healing." Not housing first. Not sobriety first. Community first. Relationships first. Relationships are key to healing. That’s why social service agencies have a hard time helping people to heal and move forward—because they cannot take the time to build trust and relationships. Agencies need funding and the funding has rules, outcomes and time limits that take priority over people. For example, you have only up to 90 days in a shelter or transitional housing. That’s not enough time to rebuild your life or to build new relationships. In Puʻuhonua O Waiʻanae, everyone’s path to healing is different. It might come through a relationship with the land, with pets, with caring for kids, or being of service to others. It’s different for everyone, never one size fits all. Puʻuhonua O Waiʻanae is a safe place for people, their kids, and their belongings. It is safe because people take care of each other. That’s not to say there is never any crime or problems, but many people feel safer in Puʻuhonua O Waiʻanae than in a shelter or the house they came from. Hawaiʻi real estate is marketed around the world and home prices have soared out of reach for working families. Affordable housing takes too long and is too expensive to build with conventional models of development. Shelters have time limits of only 90 days. 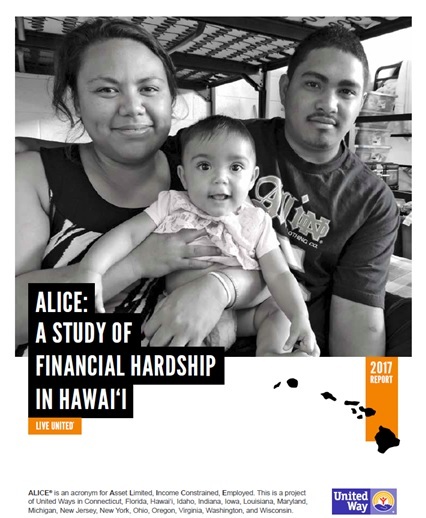 With nearly half of Hawaiʻi families unable to afford basic necessities, we face some daunting questions: Is Hawaiʻi to be a place only for the rich? How are people to live here, when jobs don't cover the cost of living? 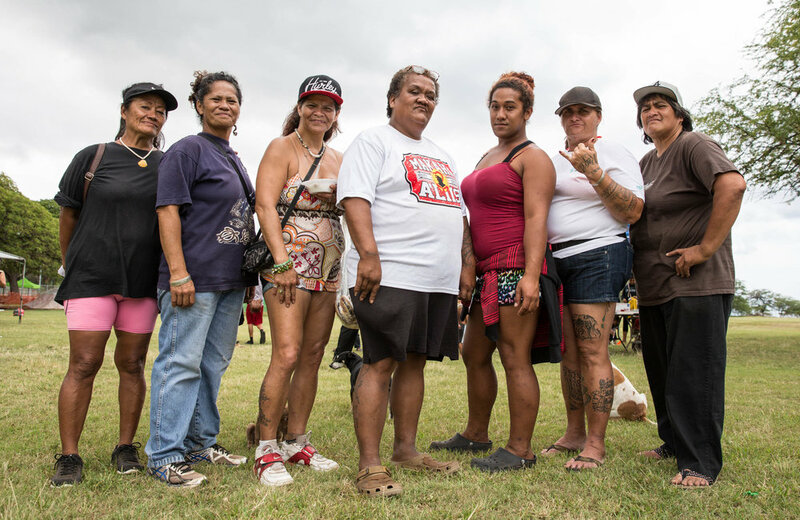 Puʻuhonua O Waiʻanae shows that community provides an answer to Hawaiʻi’s—and maybe the nation’s—affordable housing crisis. Everyone has a role to play in Puʻuhonua O Waiʻanae. If you don’t have a job, that doesn’t mean you’re worthless—you can still do your part. Maybe your part is looking after keiki (children) while parents are at work, cooking meals for other families, tending to our gardens, beautifying the park next door or cleaning the public restroom there. The answers come not from the agencies, but from ʻohana. A more communal way of living is more affordable and more sustainable. Shared kitchens, bathrooms, and gathering spaces save on development costs and materials. Shared kuleana for security, groundskeeping and maintenance means lower operating costs and lower rent. A group commitment to growing food, conserving resources, or investing in solar can cut monthly bills. Many people in Puʻuhonua O Waiʻanae work, but even if you don’t have a job, you have a purpose. Living in a village helps people rediscover that purpose. Community is an asset. The people of Puʻuhonua O Waiʻanae envision a future home designed based on the strengths of their village today. Like their current village, it will have shared cooking facilities and a gathering space; shared bathrooms, and areas for growing food. Communal facilities mean lower development costs and operating expenses. Puʻuhonua O Waiʻanae will continue to offer people a home for as long as they need it. Some may transition out quickly, while others may stay for years. It can provide shelter, stability, and community for 250 people at a lower development cost, and lower operating costs and rents than conventional affordable housing. A temporary shelter of comparable capacity costs $7 million to build and $2 million to operate annually. A conventional affordable housing project for 250 would cost more than $20 million to build, and rents would have to be around $1,000 to cover ongoing costs, based on recent projects. The immediate goal is to raise $1.5 million to help the village acquire land via purchase or long-term lease and to cover the cost of basic infrastructure including fire access road, water to central facilities, and sewer or alternative waste treatment. The village is still exploring the most affordable options for constructing living quarters— including mobile tiny homes, modular units, and other new approaches. Phase I will enable residents to move onto new land immediately, and make the space productive while the next phase of development begins. Phase II will be construction of living quarters and common facilities. The hale noa (gathering place) is intended to be constructed using traditional materials and techniques and will host events and gatherings, open the public, like the ones hosted by the village today. The common kitchen will be available to all community members and encourage communal cooking and dining. Agriculture is intended to supply the village with food and reduce household food costs. Cost estimates are still being developed for Phase II, but the communal design of the village means it can be built and maintained at a fraction of the cost of conventional affordable housing. Puʻuhonua O Waʻanae is a valuable resource to Hawaiʻi. It would cost more than $7 million to build a shelter of comparable capacity and $2 million annually to operate it. Unlike other houseless people, village residents do not rely on the ambulance and ER for primary healthcare. Queen’s Medical Center sees 2,400 unnecessary ambulance rides per year, mostly from urban houseless people, at $1,000 per ride or $2.4M annually. An ambulance is called to the village less than 12 times a year because people are stable enough to visit their physician regularly, refill prescriptions, and make doctor's appointments before things become an emergency. Village leaders serve as intermediaries for social services, welfare agencies, law enforcement, and others, saving countless labor hours and tax dollars normally spent trying to find and serve houseless people. The village has helped more than 20 families get into housing over the past 6 months, without taking up space in temporary shelters or transitional housing.